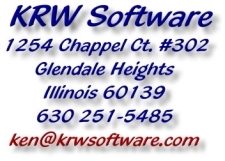 Welcome to KRW Software.com, Flash Web example. The answer to your web creation and updating needs. Let me help you create and promote your site for the greatest profit to you.